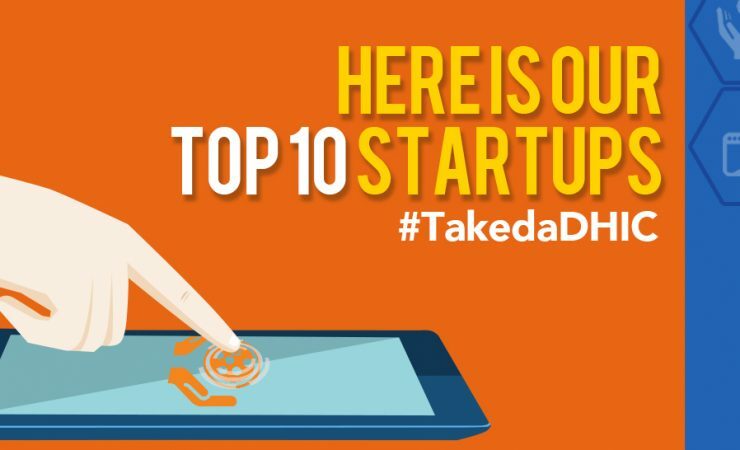 In May 2016, Takeda Pharmaceuticals International launched the call for its first ever Takeda Digital Healthcare Innovation Challenge (#TakedaDHIC). It is a pitching competition aimed at startups with solutions for the healthcare innovation, specifically in the area of Oncology. TechTalks.ph - one of the country’s startup ecosystem builder was the technical force behind this project. The call was launched 10th of May this year and closed on the 27th of June. Amongst the entries, the top 10 were selected as the most suitable and relevant tech solutions. The set of startups consists of mobile and web solutions - from electronic medical records to early cancer detection and diagnosis, telemedicine, wellness platform, e-prescription and blood donation program. Blood Hero (PH) - A web and mobile application that will make blood donation social through gamification and easy accessibility. It will foster collaboration amongst hospitals, organizations and blood donors in order to meet the needs for blood supply. CarinMED (Malaysia) – A mobile application that enables doctors to take history quicker, more intuitively and with better flexibility by using machine learning to help with their diagnosis, especially in the area of oncology. docHERs (USA) – A patient-centered, nurse-assisted digital health platform that enables physicians to navigate, diagnose & treat patients from remote locations. This is especially useful for chronic disease management (cancer, diabetes, CVD/stroke and neurological disease, etc). EMR Doc Assistant (PH) - A cloud based Electronic Medical Record Solution which can catch red flags in a basic patient examination and forward them to the doctor specialists for further examination. Handy Pharmacy Onco (Thailand) - An online-based individual health consulting application for patients to connect directly to Pharmacists. HealthInsight for Oncology (PH) - A digital platform for the oncology ecosystem to empower patients and care providers along the cancer patient journey, from dealing with actual patients already receiving care to providing primary care. Hybrid Fusion FISH™ (USA) – A web application using simple and cost-efficient "colored dots" to detect cancer genes for early cancer detection and diagnosis, disease stratification, and companion diagnostics for targeted therapies and precision medicine. MyLabs (PH) – An Electronic Medical Records and Laboratory Result Management System that leverages on predictive and prescriptive analytics. Renal Tracker (PH) - A web-based program with remote patient monitoring, daily nutrition tracking, constant cancer care program, and dietitian-created cancer recipes. The winning startup will receive the grand prize of US$10,000, and a chance to work with the Takeda brand of global healthcare excellence. Now the stage is set for each startup to pitch their product and we are all excited on the outcome of this pitching competition. We hope that this will open up more opportunities for corporate startup engagement (CSE). With this event, TechTalks.ph experienced how corporations can benefit from engaging with and connecting with innovators and millenials who have new ideas to solve the world’s problems. Corporations should view new technologies, new inventions and creative startup founders as an extension of their research and development efforts so that consumers and the public will benefit from collaboration of established industry experts like Takeda and today’s innovators. So see you at the AIM Conference Center, Makati City, the Philippines on August 6, 2016, at 2:00 PM. RSVP here if you want to witness the event.